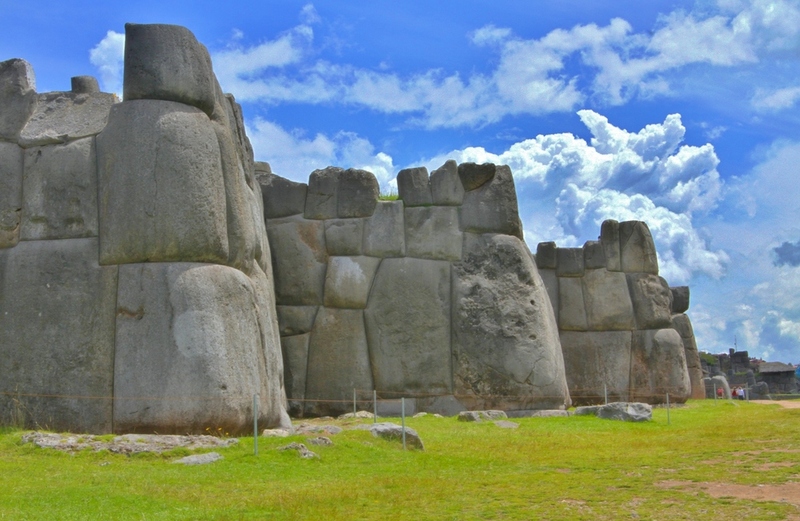 Atop a hill overlooking Cusco's Plaza de Armas is Saksaywaman. The walls of the ruins are constructed of mindbogglingly-massive stones that were hauled up the hill, individually cut, and lifted into place by human hands and simple tools. Most of the remaining structure are Incan modifications to the original structure built by the Killke people hundreds of years before. 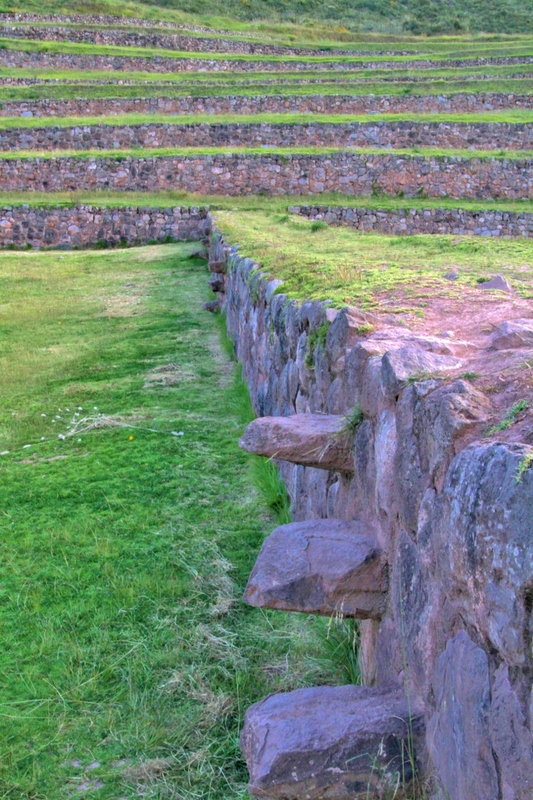 The enormous walls and strategic position make it no surprise that Saksaywaman played a huge role in Manco Inca's attempts to expel the Spanish from Cusco. The site served as the Inca's base to launch attacks against the Spaniards below, and several battles ensued as the Spanish resisted the Incan siege and attempted to capture the fortress from the Inca. Their eventual success forced the Inca to withdraw from Cusco and regroup in Ollantaytambo, which bought time for Spanish reinforcements to arrive from Chile, ending the siege of Cusco. After defeating the Inca, the Spanish dismantled most of Saksaywaman, using its stones for other buildings in their new "Spanish" Cusco. 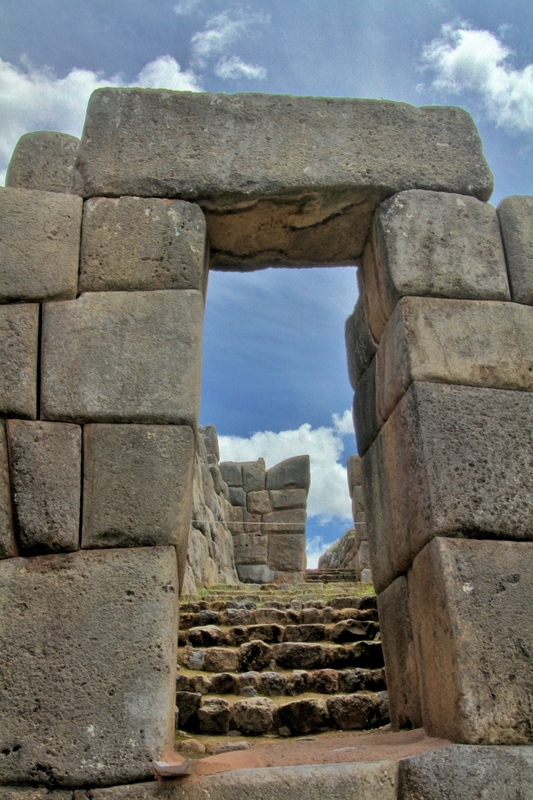 The ruins that stand today can only hint at the true height of the original walls and inner towers that are described in historical accounts of the siege of Cusco. Nowadays the most famous event at Saksaywaman is Inti Raymi, a traditional Andean festival with pre-Inca origins that celebrates the sun, the winter solstice, and the Incan new year. Tens of thousands of people gather on the hilltop, and my cusqueño friends say it's one of the most important and most fun events of the year. Overlooking the valley immediately to Cusco's north is Pucapucara. This was the most modest site I encountered all day, and I had the ruins to myself for well over an hour while watching shepherds in the valley below. Unlike the other ruins, the stones that make up Pucapucara's walls have neither the size nor the artistry indicative of Incan architecture. 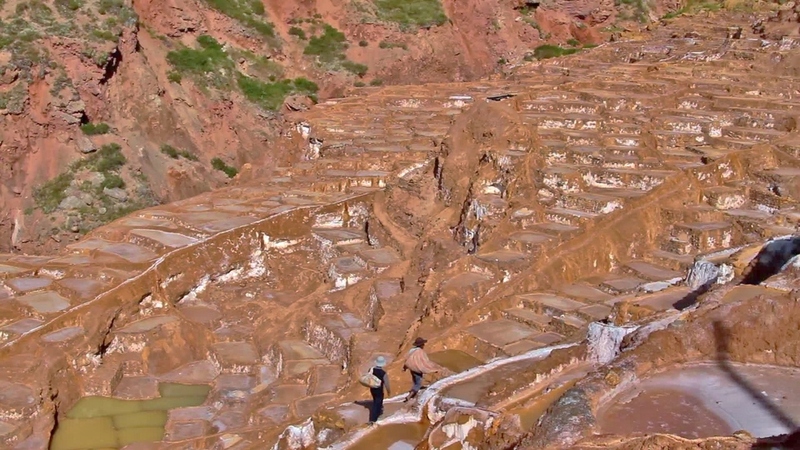 Most could be lifted into place by one or two people, and the lack of precision in their cut and placement indicates that this site is either older than the Inca or was not as important as other sites. The true history and function of Pucapucara is a mystery, as is the case with most Incan ruins. 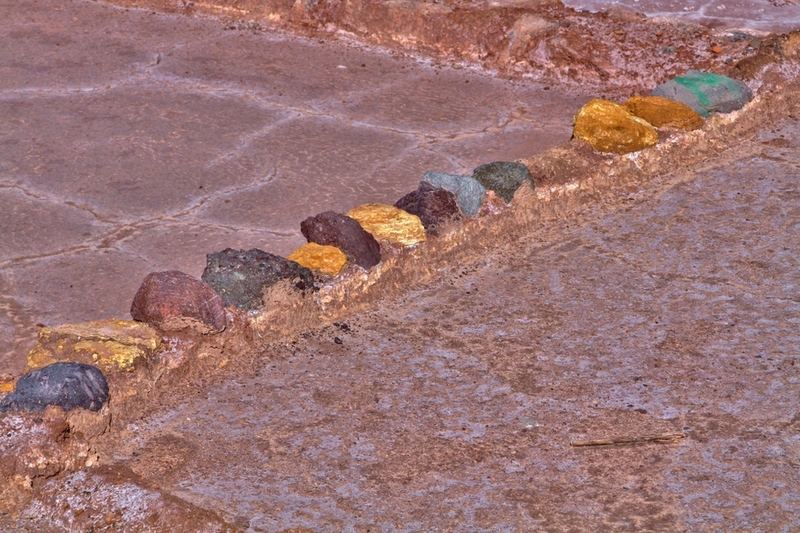 Tambomachay, literally a stone's throw from Pucapucara, was undoubtedly more important to the Inca. Two massive tiered structures are built into the hillsides, straddling a small creek flowing down into the valley. Paths lead up into the hills, chasing aqueducts to unseen sources that still flow to this day. 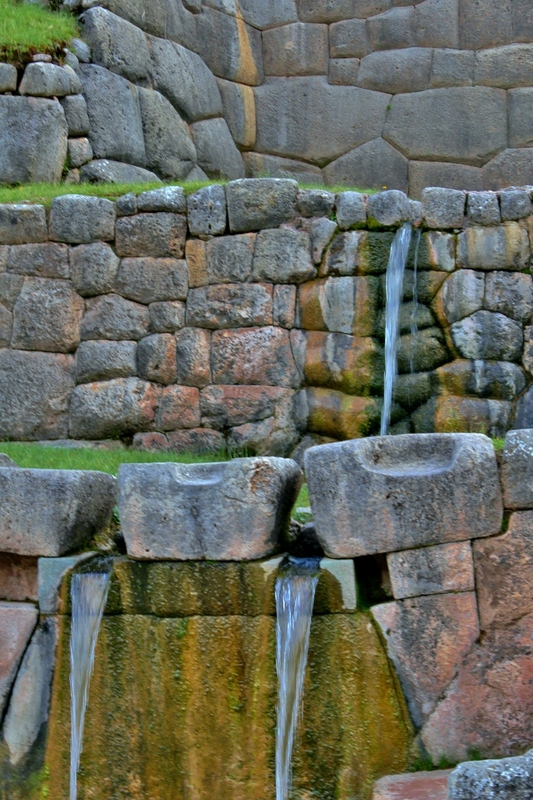 Some theorize that Tambomachay was a military post, but the serene sound of trickling fountains all around makes it easy to support the alternate theory the Inca used the site as a spa. Though classified as a "ruin", Q'enqo stands out from other sites. Most ruins are admired for demonstrating the craftsmanship and ingenuity of ancient people. On the other hand, Q'enqo was not "built" by the Inca nor any human predecessors. The Inca were so inspired by the natural shape of this place that they used it as a holy site as it is. 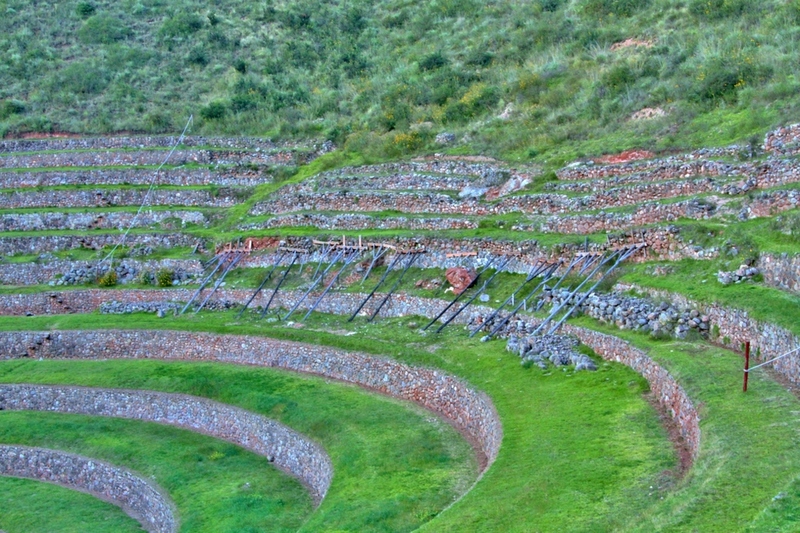 In reality, Q'enqo is a pile of huge stones on a hill overlooking Cusco, just west of Saksaywaman. 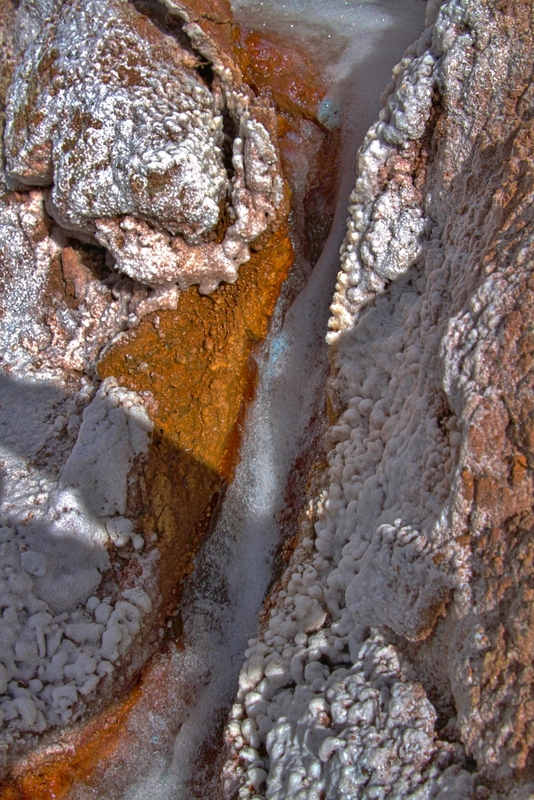 The main "structure" is an enormous patch of exposed rock with cracks running through it leading to a small cave inside. The Inca believed that "mother earth", or pachamama, was a benevolent god that nurtured life and growth. To the Inca, caves were literal openings to the pachamama, and even small caves were considered very holy. Like the Condor Temple at Machu Picchu, the Inca often built temples around natural caves. These holy sites, known in Quechua as huacas, were the sites of mummy worship and religious ceremonies all over the Andes. The altars carved into the walls of the cave at Q'enqo reveals its religious function, but its exact significance and history remains debated. I had punched my tourist ticket at Machu Picchu and worn down my soles on Cusco's ancient brick streets between markets, plazas, museums, and the bodega down the street, but I wasn't ready to leave Cusco yet. Just up and over the hills of the valley that Cusco sits are countless ancient ruins left by the Inca and their predecessors in a place called the Valle Sagrado. The day started out ambitious, with plans to set out early from Cusco and explore the farm roads between Laguna Huaypo and the town of Huarocondo before continuing along the backroads to the ruins of Moray. After navigating the maze of pastures and plantations, I rolled into the central plaza of sleepy Huarocondo just in time for lunch. I scarfed a couple of tamales and found the train tracks that led north toward Moray. I thought I was in luck, since the road that ran parallel to the tracks had a fresh coat of tight-packed gravel. After a few joyous minutes of cruising as the road hugged the shore of a small river, a construction worker on the roadside waved me down. A landslide had completely blocked the road ahead, and he couldn't let me pass. Landslides on Peruvian roads are nearly as common as roadkill on a Texas interstate, so I couldn't say I was surprised. 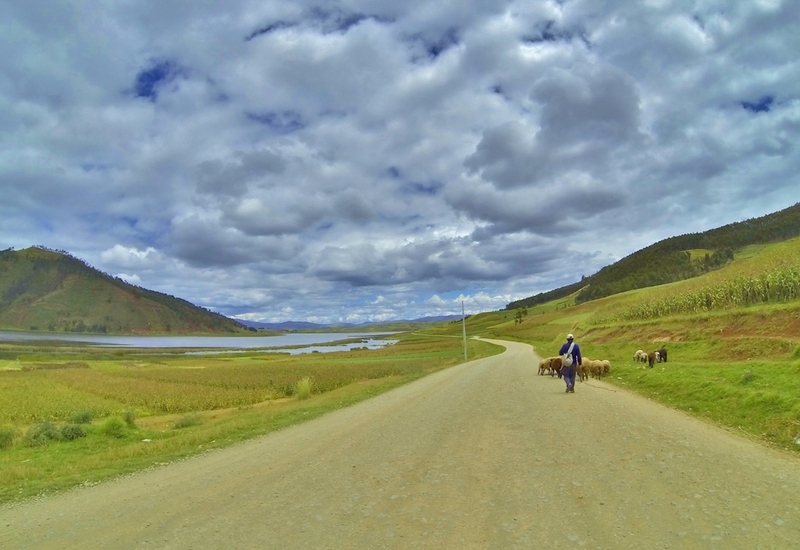 I asked it was possible to reach Maras using the small mountain roads instead of going back to the highway. He doubtingly studied the steep green slopes just across the river before giving me a shrug. By my nature, as I suspect is the case with many dual-sport riders, I have a hard time being dissuaded from an idea once I have latched on to it. If someone disagrees with idea that I have pitched, they had better be prepared to make an exceptional case for themselves. Anything less is often understood to be tacit approval, like the construction worker's shrug. I doubled back toward Huarocondo until I found a bridge across the river, figuring I could get over this small mountain to get to Maras on the other side. The dirt road into the mountains instantly became a maze of switchbacks and narrow dirt trails that forked every which way among small villages. Gravel turned to soft dirt and mud as the path narrowed into footpaths and skirted the edges of the mountain. The trails often took me in circles or literally ended at someone's front door. I climbed one hill after another, and whenever I arrived at the top of one hill I would see yet another looming over me while the mountain peaks were still nowhere in sight. After a couple of hours I roared to the top of yet another hill, but this time I was not greeted with children peeking out from behind doorframes or cows apathetically watching me pass while they chewed their cud. I burst onto the hilltop into a crowd of people gathered together on the grass. The bike skidded to a stop and I froze. Snarling dogs rushed me from all directions while dozens of shocked brown faces silently studied me from beneath wide-brimmed hats. When the dust settled and pandemonium subsided I rolled the bike away from the crowd and took my helmet off. Motorcycle travelers are very well aware that we stand out in most places that we go, but the responses I received were most extreme in remote places like this mountaintop village. Taking off the helmet is the first critical step in alleviating your other-worldliness in the eyes of the locals and assuring them that you're human after all. I apologized profusely to the whole crowd for the interruption, though I couldn't tell what they were gathered for. A young woman dressed in a t-shirt and jeans approached me with a smile, much to my relief. After more apologies, she assured me that I had only interrupted a town meeting on communal water use. She and one other man, a young-looking guy and the only other person wearing jeans instead of traditional Andean clothing, were from Huarocondo. They were instructing the villagers on proper use of their newly-completed well. Until now this village of about thirty people (the young woman told me the community was so small that it didn't even have a name) had to carry water up the mountain from Huarocondo. The young woman assured me that I had done no harm, and in fact had livened up what had become a very boring meeting indeed. She told me that despite being so close to Cusco they very rarely see visitors in Huarocondo, and she guessed that most of the people in this village had seen few if any foreigners in their lives, especially not on motorcycles. The extremely varied reception I received from the villagers supported her belief. Many continued to watch me from a distance, but others enthusiastically came to greet me and admire my muddy mechanical beast. I sat in on the meeting for awhile, and soon realized that the guy from Huarocondo was reciting water code provisions from a booklet. Now, I can attest from my own experience working in public works that public education is a critical part of any successful civil initiative, and I'm completely in favor of taking local customs into account when carrying out development projects such as this one. However, it seemed to me that reciting civic code from a book in Spanish to uneducated people who are primarily Quechua speakers was not the most effective way to encourage proper use of their water. After a while I asked the young woman how to get to Maras from there, but she just giggled. She told me that she had no idea how I managed to end up at the village on my bike, but I wasn't going to get to Maras this way. At any rate, I decided to limit the damage I had done for one day, so I made my way downhill, through Huarocondo, past Lago Huaypo, and back to the highway. 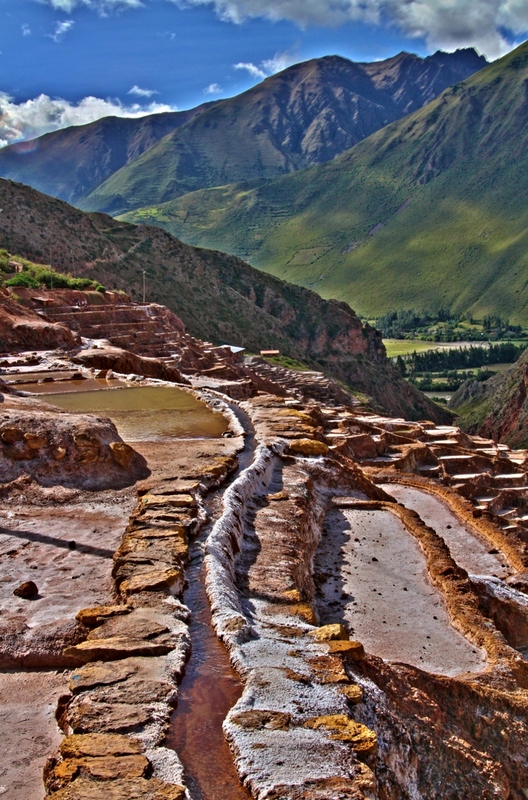 On the other side of Maras are the ruins of Moray. From the tops of the ridges high above, the structure's concentric rings resemble crop circles more than ancient ruins. From the bottom you can't help but note that the terraces cascade downward with scientific precision. It's no surprise that the leading theory behind Moray's purpose holds that the site served an outdoor laboratory for agricultural experiments. 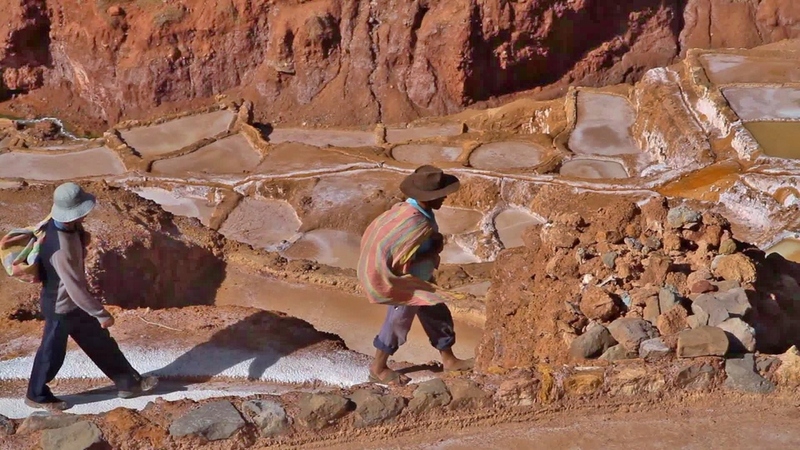 Few civilizations have developed methods of successfully cultivating such extreme landscapes as the Andes, yet the Inca and their predecessors were immensely dependent on Perú's mountain-riddled landscape to feed their populations. In fact, the Inca were so successful at exploiting the land that many historians believe they had virtually eliminated starvation throughout the empire before the arrival of the Spanish. How did they do it? 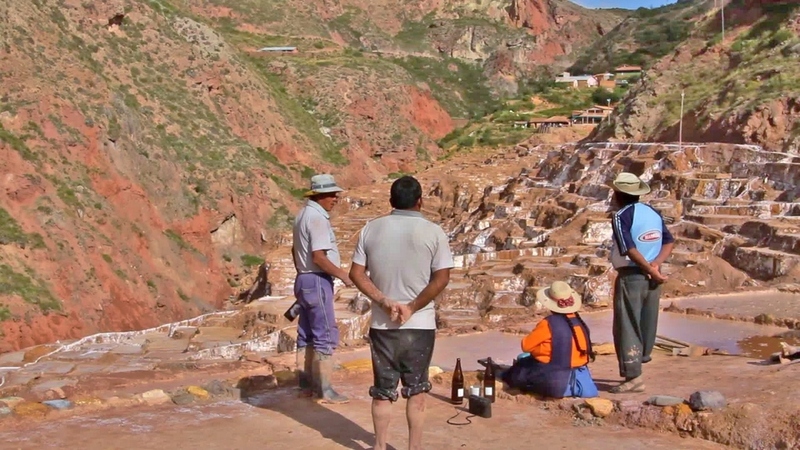 If Moray was a laboratory, then it would have certainly contributed to the Inca's success. The location of the site creates a wide range of climactic conditions within a small area. 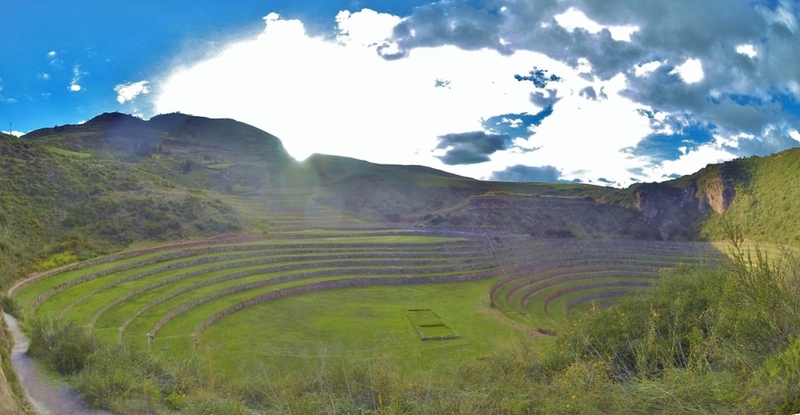 Modern studies have found that Moray's structure isolates minute differences in temperature and sunlight at each terrace, with a temperature difference of fifteen degrees Celsius (that's almost thirty degrees Fahrenheit my people in Yanquilandia) between the highest and lowest terraces when conditions are right. 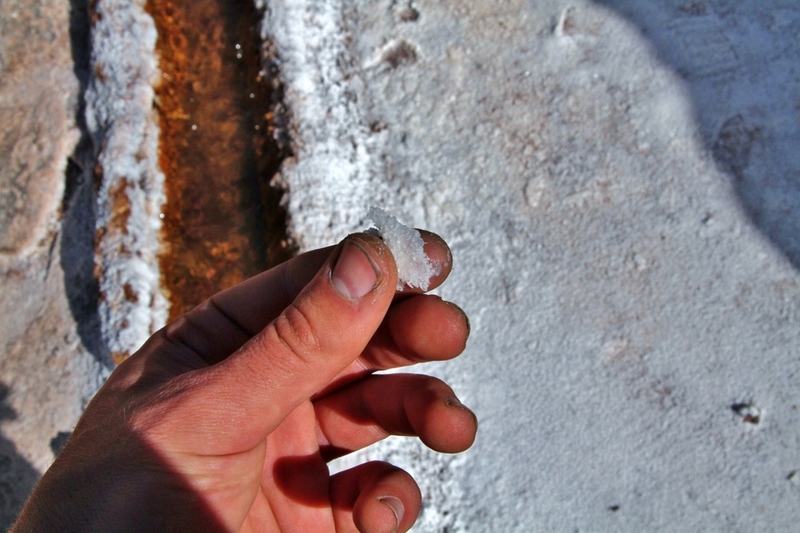 The theory goes that the "microclimates" at each terrace were studied with respect to their effects on various crops. In this way, cultivation of certain crops could be allocated to specific regions of the empire or even specific places on a mountain in order to maximize their growth. 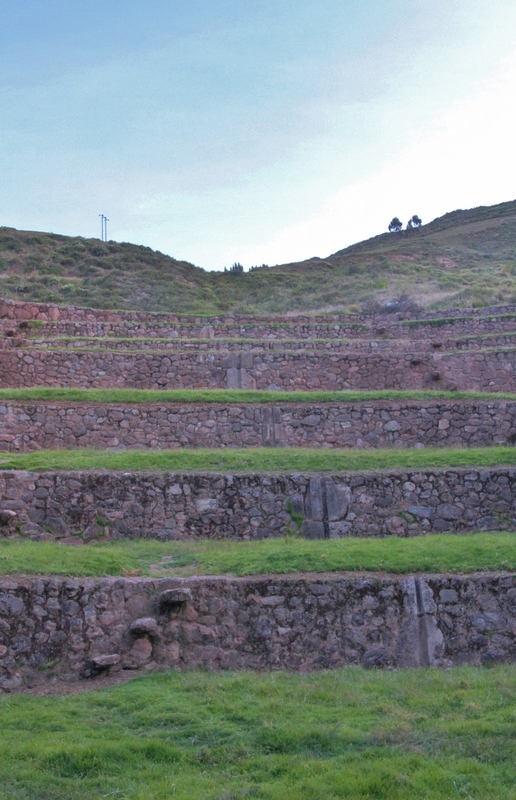 Not coincidentally, remnants of ancient farming terraces can be seen on mountainsides all throughout the former Inca empire, often reaching up to staggering heights. Many farmers in Perú, most of who are descendants of citizens of Inca empire, still farm on terraces to this day. I made my way back up the ridge as the sun was setting and the few remaining sightseers shuffled to the parking lot. Just before climbing on my bike, one of the park guards called from inside their nearby office. "Can't say no to that" I answered in Spanish. A few minutes later I had one of the park guards on the back of my bike on our way to a nearby village to get the beer. Back in their office at the ruins I watched the ancient buildings fall into darkness while we talked. When the bottles were empty they asked if I could give both of them a ride to the village so they could find some girls. You can't say yes to everything. The questions surrounding these sites will likely remain unanswered for all time, no matter what evidence archaeologists uncover. Spanish conquest was never a light-handed affair, and efforts to preserve or at least record the culture of indigenous people of the New World often came long after disease and war had shattered civilizations. The Inca and other native groups of the Andes feared the extirpation of their cultures at the hands of the Spanish, and rightly so. Language, laws, social classes, and religion--institutions that frame how individuals come together and form a unique society--were tossed aside, and the locals were expected to assimilate into a completely new way of life as defined by the Spaniards. In an attempt to save what they could from the conquerors, they voluntarily severed links to many cherished things in order to prevent the Spanish from destroying them. Unfortunately the result was that less and less knowledge was passed on to later generations until much of the old ways were forgotten forever. If this is the case with the Inca, the most famous and well-studied civilization of pre-Spanish America, then one can only speculate how little we know about the rest of the people living in the Americas before Columbus set sail.